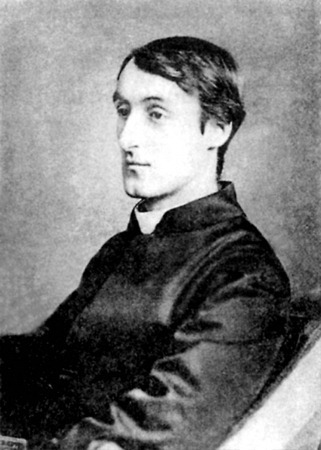 Gerard Manley Hopkins was born in 1844 in England. Though he was born into an Anglican family, he converted to Roman Catholicism and became a Jesuit priest. His desire to write poetry was sometimes distressful to him because he felt it interfered with his devotion. He continued to write, although little of his work was published during his lifetime. Hopkins is considered a Victorian poet in terms of his time period, but his sprung rhythms and inventive use of words make him more of a Modernist poet in terms of his technique. Notice, for example, that in “Spring and Fall” certain syllables have accent marks over them. Hopkins intended these syllables to be stressed even though they are not normally stressed when spoken.